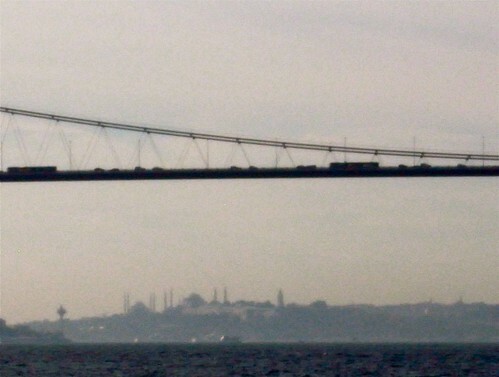 The silhouette of Istanbul, sailing West on the Bosphorus towards the bridge connecting Europe and Asia. 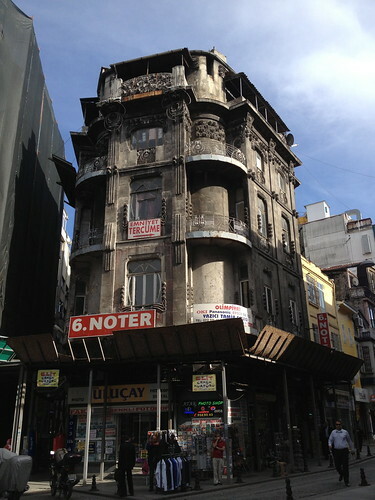 Jugendstil/Art Nouveau building, Istanbul. Note the heavily modelled floral decoration. Over the last twenty years the station has undergone extensive restoration and massive expansion, and so now contains four layers of tracks, the lowest of which accommodate the Thalys high-speed inter-city trains. 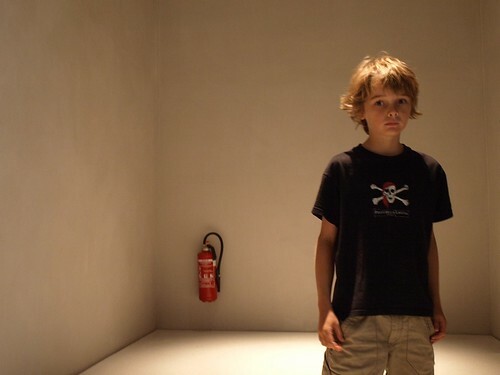 Fire extinguisher, Diocesan Museum, Cologne. 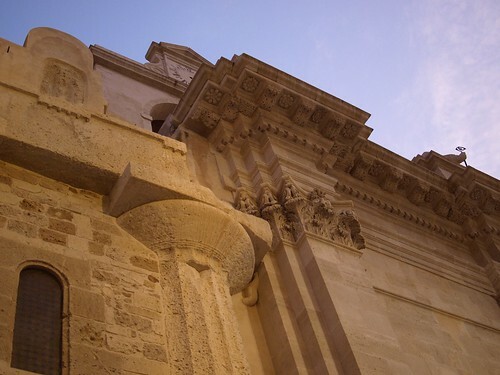 The duomo at Ortigia (Syracuse, Sicily) is built in and around the complete structure of the Greek temple of Athena. To the east of Barcelona lies the small town of Colònia Güell. This compact settlement was constructed to house the workers and the factories upon which Eusebi Guell’s fortune was based. On the outskirts lies the local church, or rather the crypt of the unfinished church. This is an expressive and atmospheric structure designed by Antoni Gaudí. Of course Güell and Gaudí had a long and fruitful relationship, with the construction of a number of much more well known buildings. This structure nestles into the rock of the hillside and is obviously intended to appear as if it is part of the landscape. The building is random yet exact. The stone is irregular at the building’s corners with what looks like a volcanic infill. The columns rise at acute angles from the earth and almost become flying buttresses as they struggle to hold the crypt itself in place. The interior is equally mysterious, the large open space is calm and organic, the unfinished quality adds to the drama. The only slight anomaly is the recent pavings, which is set in a regular manner around the building and becomes a podium upon which the building sits, thus breaking the illusion of the building growing from the landscape. The crypt is certainly big enough to hold the congregation, so perhaps that is why the ambitious building was never completed, but then again Gaudí and Güell have a reputation for taking their time. On a recent visit to Barcelona it was a great pleasure to see once again his Carme Housing in the Raval District. This was always a modest building and seems even more so now that it needs a coat of paint and bit of a clean. However, the controlled forms combined with the close integration into the context means that the apartment block is both unpretentious, while still commanding a strong presence. 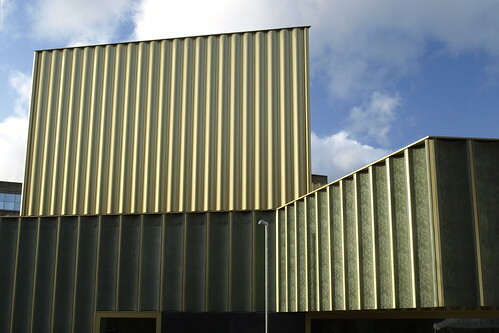 Two colliding rectangular blocks dictate the form of the building. The point of intersection creates a slight setback, which encourages the narrow street to expand and thus allows the building to breath. In what seems like a common practice in Barcelona, the corner of the building is set at 135˚, and thus the covered balconies project into the street. The green window shutters, which are flush with the walls, seem untraditional and slightly strange given the apparent extreme attempt to integrate the building into its particular location, but I am reliably informed that the city council actively discourages the construction of new open balconies.